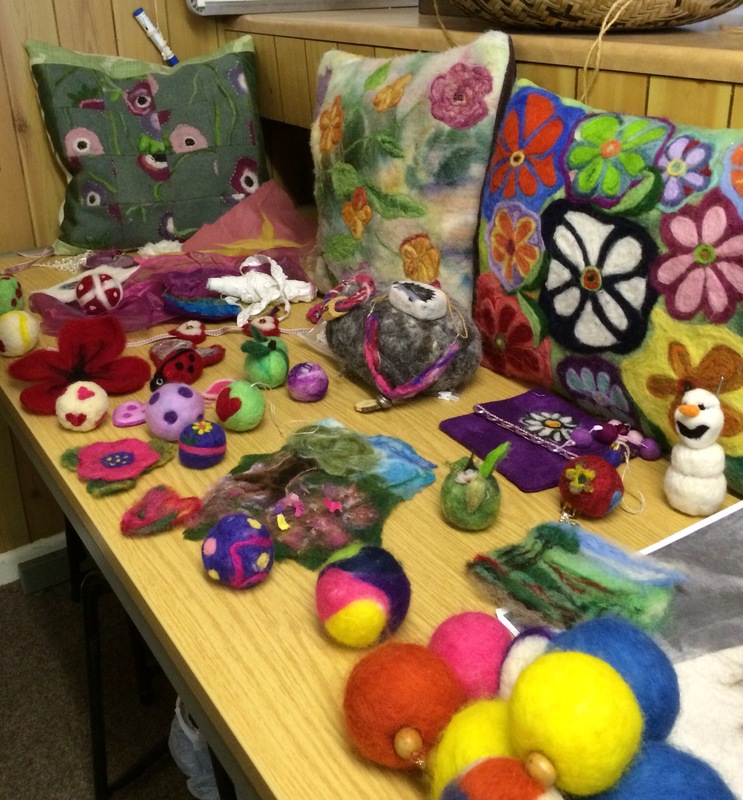 Thank you to Anne Marie And Joan for leading a fantastic needle felting workshop today! There was a good turnout and everyone had lots of creative ideas. Here is the group focused on felting. 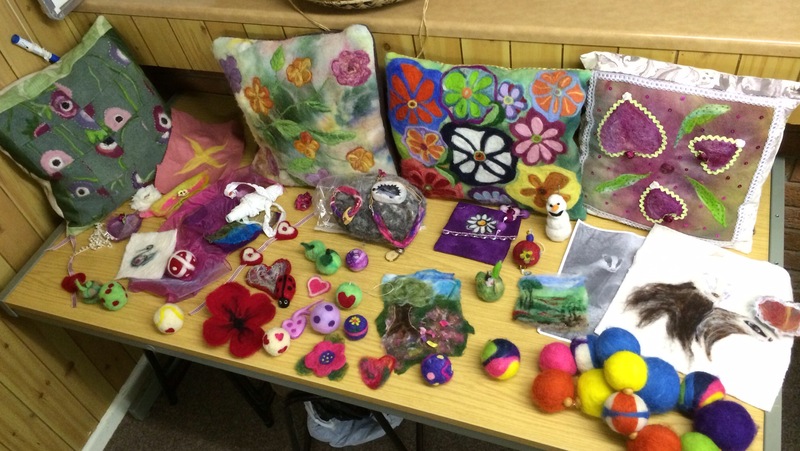 These are the items that the group created, along with some of the items that Anne Marie and Joan brought to show us. A lovely mix of colours. Check out our diary for details of future workshops and events. ← Start a New Craft with one of our Talks or Workshops in the New Year!